We have had a relatively mild winter so far, and I've been very happy that I haven't had to bundle up quite as much as usual. This week, we did receive enough accumulation to send Clark out to make snow angels, and push his dump truck through the snow. I typically don't love spending long periods of time in the winter weather, but after spending a few days cooped up at the sewing machine, I had to get out. 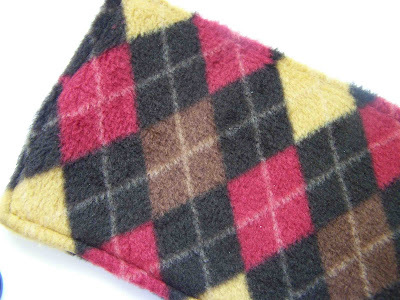 I was reminded of how much I enjoy my fleece scarflette that I made last year. It provides you with the coverage you need, and stays in place as you walk/run/etc. I decided that I'd re-post my original tutorial for those of you who may have missed it. It's a great remnant project, and is a quick beginners project. 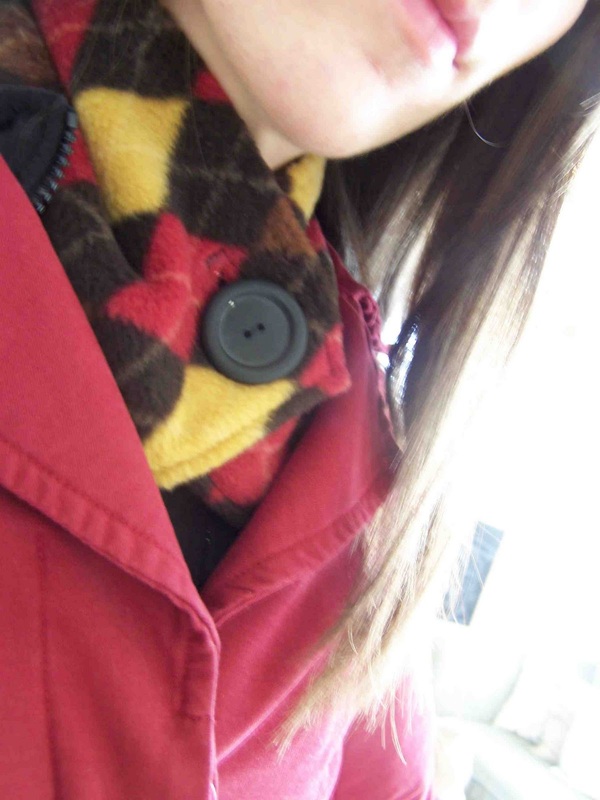 One of the problems with a pull over neck warmer, is that fleece often creates quite a bit of static electricity. Static and hair styles often don't mix. To avoid pulling the fleece straight over the head, and having every hair on your head standing on end, I added a simple button closure. There are many possibilities when it comes to making and embellishing these fleece scarflettes. One other difference between these neck warmers, and the pull over neck warmers, is that these are not quite as tall. They aren't designed to be pulled over your mouth or chin. All of the above scarflettes are made with slightly different techniques, so I'm going to show you how to make the one above, and I'll provide a few instructions for making the different variations. Begin by cutting a rectangular piece of fleece. My adult dimensions were 21 1/2" x 12". Fold your fleece in half with right sides together. You will be matching up long ends. Stitch a 3/8" seam along the long edges, and one of the short edges. Leave one end open for turning. Clip corners. Turn your tube so that your right sides are out. Fold the raw edges of your scarflette in 1/2". Pin along the turned in edge, and along the top edge of the fleece. 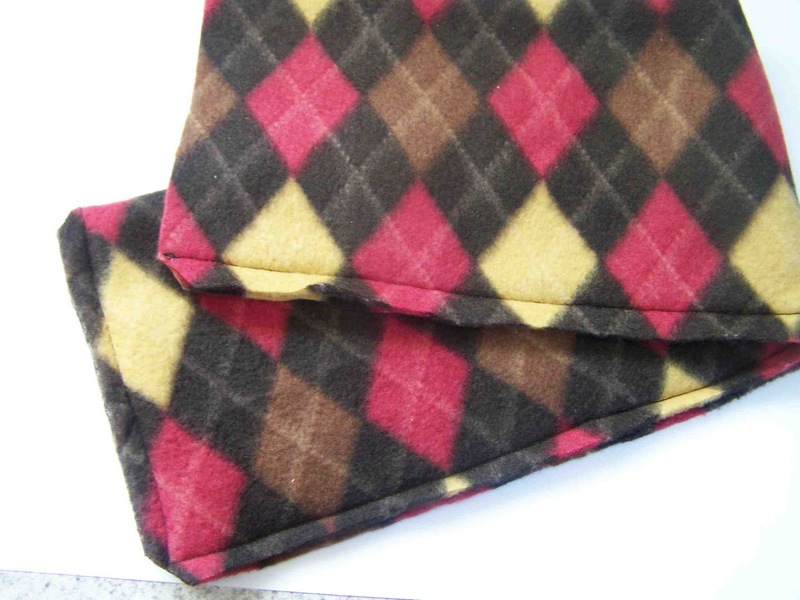 You will want to make sure that the long seam on your scarf has not rolled under. Stitch along the open edge of the scarflette. Continue stitching around the perimeter of the scarf. This will tack the two layers of fleece together. I edge stitched 1/4" away from all edges. Next wrap the scarf around your neck. Determine where you want your button closure to be. Mark the button position on both pieces of fabric. The outer layer of fabric is going to be your button hole marking, and the under fabric will be where you position your button. I chose not to use the button hole function on my machine. Fleece does not fray, so a simple cut would be sufficient. I marked a hole that was 1/4" wide, and 1/4" longer than the length of my button. Next I stitched around my button hole marking with a triple straight stitch. Use your seam ripper to slit the button hole. Attach button to the previously determined location. That's it. You have created a warm, and feminine scarflette. To create the ric-rac scarflette you are going to use two rectangles of fleece. The first will be 6" wide and 21 1/2" long. Your second rectangle will be just as long, but 4" wide. You will also need 43" of ric-rac. 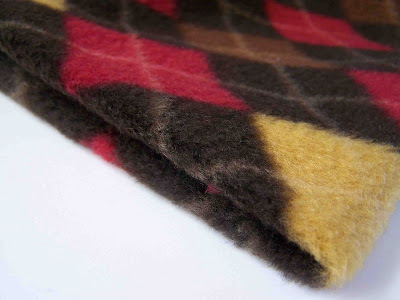 You are going to center your 4" wide piece of fleece on top of the 6" piece. Sandwich the ric-rac between the two layers of fleece. Pin in place. Stitch around the entire top rectangle of material. I stitched 1/8" from the edge of the fleece, making sure to catch in the ric-rac. I used a covered button for this project. 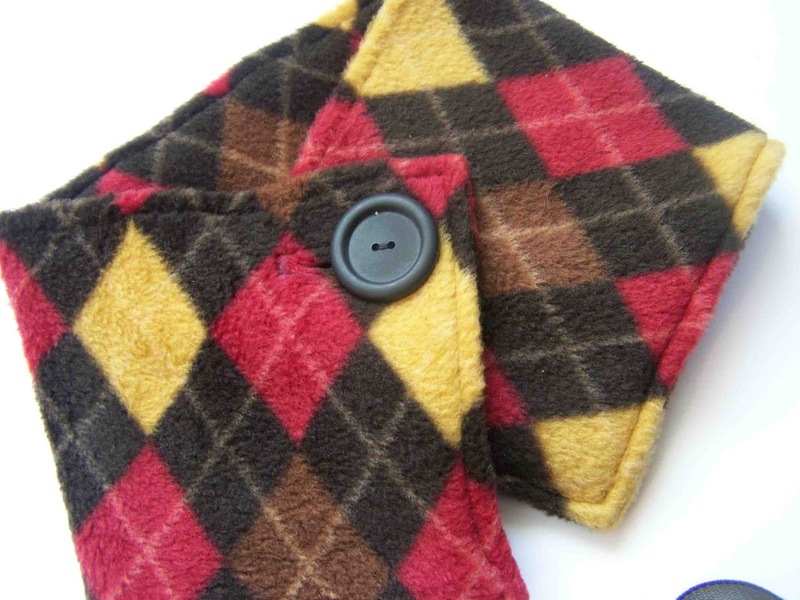 The button hole was created in the same fashion as the argyle scarflette. 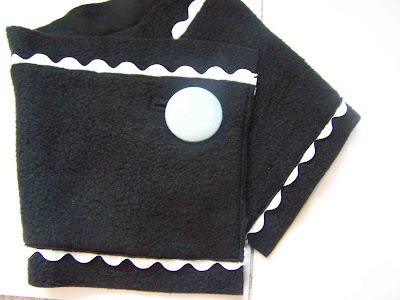 Cut one piece of black fleece that is 21 1/2" x 6". Cut a second piece of fleece that is 4" wide and about 36" long. Using a gathering stitch, stitch down the center of your ruffle. Leave ends long. Pull bobbin thread to gather ruffle. Distribute ruffle evenly along the length of the ruffle. Pin ruffle centered onto fleece. Stitch down the center of the ruffle, attaching the two pieces of material. Center and stitch a piece of ribbon or trim down the center of the scarf. 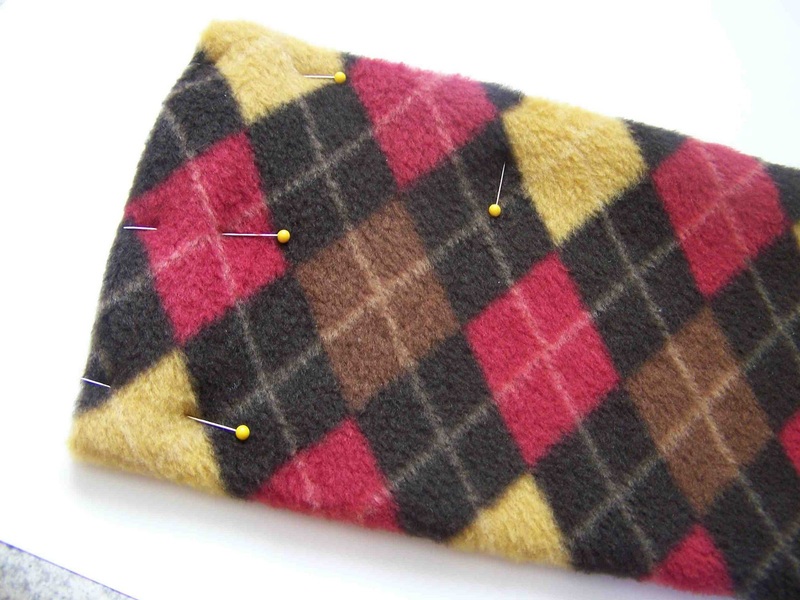 Create a button hole closure using the same method as above. The cream scarflette was also made using two layers of fleece. The top layer was scalloped along the edges. I used a scrapbooking template to create the pattern. I topstitched around the scallops, and the short edges of the scarflette. The velcro was attached prior to attaching the fleece flower. 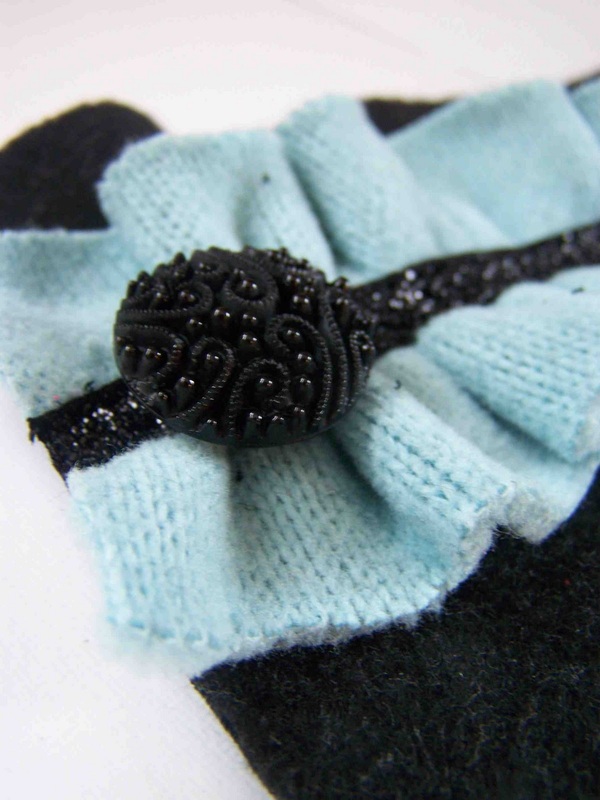 The flower is made from three layers of fleece with a sequined center. When attaching the flower, hand stitch it in place. You will want to catch the top layer of fleece with the thread, but don't attempt pushing through both layers of material plus the velcro. I'm sorry, I don't have the toddler dimensions, I'm guessing 5"x 18 or 19". These are darling!! I don't know how I missed them? Maybe I'll make them for Christmas gifts next year. 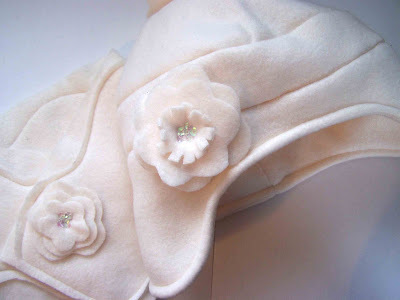 Love the cream one and that they don't go over your head and the way you made the button hole. :) PS it is a totally weird winter. What a great idea! I'm definitely making one for my granddaughter. I hate seeing her little neck uncovered! And it'll be so much handier than a long scarf that doesn't stay put! I found you via Craft Gossip. Thanks for sharing! je vous remercie pour les tutos, j'ai beaucoup aimé ce partage, j'aimerai savoir quelles sont les mesures, en mesures françaises de la toison scarflette tutoriel. Your ideas just get cuter and cuter! I love argyle, and all these options are darling!